Step 2.Brushing of Tongue . 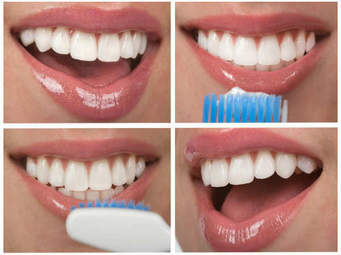 While brushing the teeth, Brush the tongue the same way you brush the teeth which is morning, afternoon and night before you sleep. Some people do not brush their tongue ,the only brush their teeth and it is really wrong because tongue has a kind of bad odour when you keeps it dirty so brushing only teeth can not keep your mouth clean . stains from the teeth and also it Clears odour and keeps mouth in a testy condition .